Over the past couple of years, we've seen a sharp rise in the number of breweries adding beers designed for their locals – often bearing a name referencing their locale too – as well as mid-strengths to their offering. 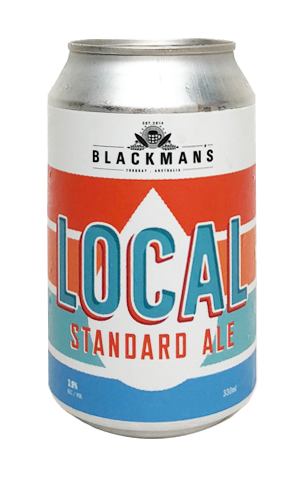 Here, with its Local Standard Ale, Torquay's Blackman's is doing both at the same time. At 3.9 percent ABV, it's a little higher in booze than many mids, but still well within "session" territory. It's also one that packs a pretty potent punch on the hop front, firing off limey, white wine aromas and delivering a relatively bitey bitterness too, one with a character you might even call old school due to its lingering earthy qualities.